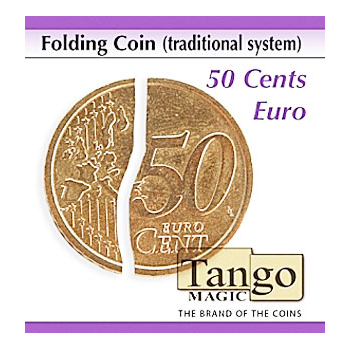 Produktinformationen "Faltmünze - Folding Coin 50 Cent Euro (traditional system) | Zaubertrick"
The magician takes a normal coin and an empty bottle. He requests a spectator to take the bottle by the neck, and then the performer strikes the bottom of the bottle with the coin, and the coin passes through the bottom of the bottle! Afterwards he shows that the coin is really inside the bottle. The magician waves the bottle and amazingly the coin is removed , immediately the coin and the bottle are handed out for examination. Weiterführende Links zu "Faltmünze - Folding Coin 50 Cent Euro (traditional system) | Zaubertrick"
Kundenbewertungen für "Faltmünze - Folding Coin 50 Cent Euro (traditional system) | Zaubertrick"